Nevada isn't all the glitz and glamour of Las Vegas. In fact there is more to Nevada than that one city, but many often forget that. 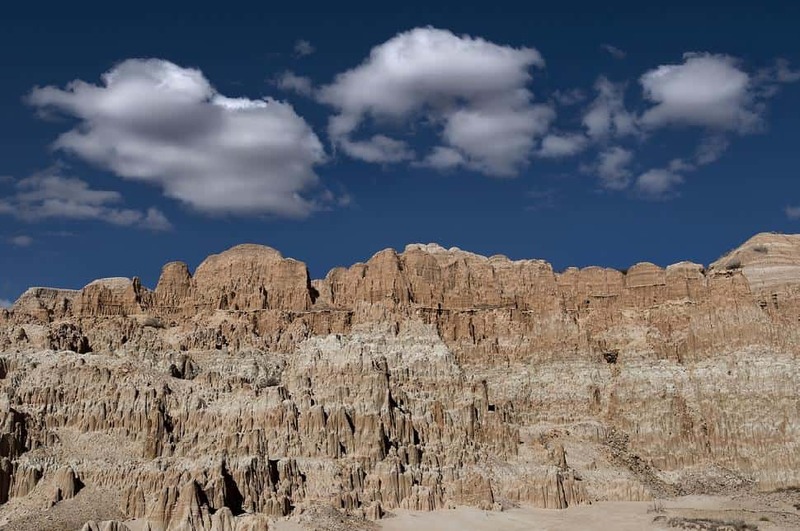 There is a whole state to explore, a rugged one, with only about 24 people per square mile. Mountain ranges dot the horizon, accented by a clear blue sky, flat basins stretch for miles and anyone can veer from long, lonesome highways and find a fine place to camp. Nevada hosts wonderful remote campgrounds for those that want to lose themselves in this wild frontier, where they can see wild horses, skies full of birds and all manner of wildlife. 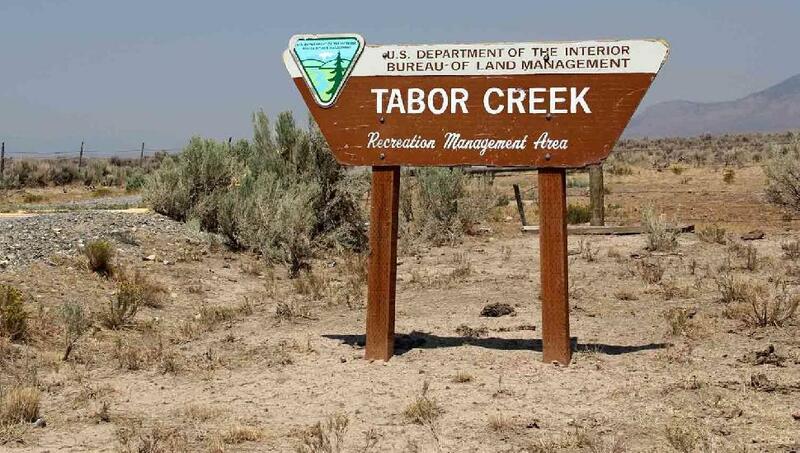 Tabor Creek Campground is located northwest of Wells, Nevada. Wells was once where immigrant wagon trains once stopped to water their oxen after travelling across the vast dry terrain. While Wells is no longer the lonely frontier town, visitors can still get that feel outside of it at Tabor Creek. This campground is one of the most remote in Nevada, visitors travel down a long gravel road to get to this small campground that only hosts ten campsites. They aren't all clumped together that those used to big campgrounds will expect, but instead well spread out and separated by sagebrush and other desert plant life. There is not much organized hiking around the campground, but many choose to hike along the creek or around the hills that tower over the surrounding area at 6,000 feet of elevation. However, Tabor Creek is rather popular for trout fishing as it is periodically restocked with rainbow trout. 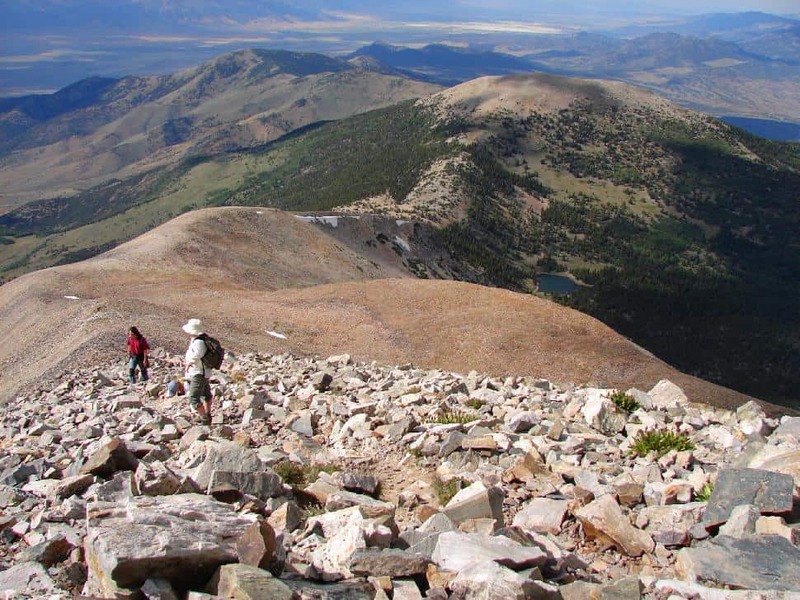 Great Basin National Park hosts five different campgrounds and all of them are pretty good, but Wheeler Peak Campground sits above them all, literally. The campground is astride Wheeler Peak at around 9,800 feet and overlooks the surrounding area as well as the other campgrounds. There is a long, narrow, winding drive up to the campground that climbs an 8% grade in 12 miles so this often makes this campground difficult to reach for RV campers. Sad news for them, but great news for all those tent campers out there as there will be little in the way of comfort campers in this campground. The campsites are well spaced out, save for the first five at the beginning of the campground and all of them host excellent views. The campground is located near two trails that run through the park including the Island Forest Trail and the Lehman Creek Trail. For visitors that travel back down the Wheeler Peak Scenic Drive, they will end up at the park's most famous attraction, the Lehman Caves. Cathedral Gorge State Park is known for its cave systems, strange landscape and unique desert beauty and its campground sits central in the middle of all of that. This 16 site campground is spacious and well kept, with pockets of Russian Olive and Locust trees in between sites to provide for shade in the hot sun and privacy. There are a few hiking trails near the campground that lead through the desert, but the real highlight of camping in this park is exploring the caves. Campers will want to follow the one mile paved trail that leads right to one of their largest cave systems. Hikers shouldn't worry; it is hard to get lost in the cave system, though it is fairly easy to get stuck in one of the many narrow passages. For campers that find themselves wanting adventure outside the state park and the campground, Cathedral Gorge is surrounded by a number of small, historic towns like Panaca or Caliente. Panaca hosts a number of small frontier buildings while Caliente is host to a Union Pacific rail station that was built in 1923. There are two campgrounds in Cave Lake State Park and both are great however the other campground--Elk Flats-- is better for RVs because the campsites are in heavy brush with only gravel areas to pitch a tent. Lake View Campground is also given seclusion between campsites by bushes and small trees, but there are plenty of soft grassy areas to set up in for the night. Like the name suggests, the Lake View Campground also hosts views of the nearby Cave Lake. The nearby lake is great for kayaking, canoeing, fishing and swimming so there is no shortage of activity there. However, there is also a lot of great desert hiking around the lake area as well. Visitors that want to branch out further into the park will find narrow canyons to explore and a number of limestone caves. For those there for the fishing, Cave Lake hosts some world class trout fishing, but it is also a good crawdadding spot for campers that want to give it a try. Horsethief Gulch Campground is the main campground in Spring Valley State Park and the campground is located just west of the Eagle Valley Reservoir. Unlike other Nevada campgrounds, there is not a lot of surrounding brush and cover in between campsites, but they are located on soft desert sand. However, the campsites are close to the reservoir that provides excellent boating and trout fishing. There is not much in the way of trail hiking aside from the developed trail that connects the campgrounds to one another, however since there is little in the way of obscuring trees and brush around the park, it is easy to explore the area without a formal trail. Hikers should be wary of desert wildlife when hiking off trail through, as there are rattlesnakes in the area.